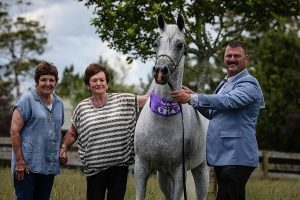 Established in 1967, Gerzanne Stud on New Zealand’s beautiful North Island continues to remain very successful in the show-ring. Over the current summer show season, their homebred mare SS Tiflaa has, in particular, been incredibly dominant. 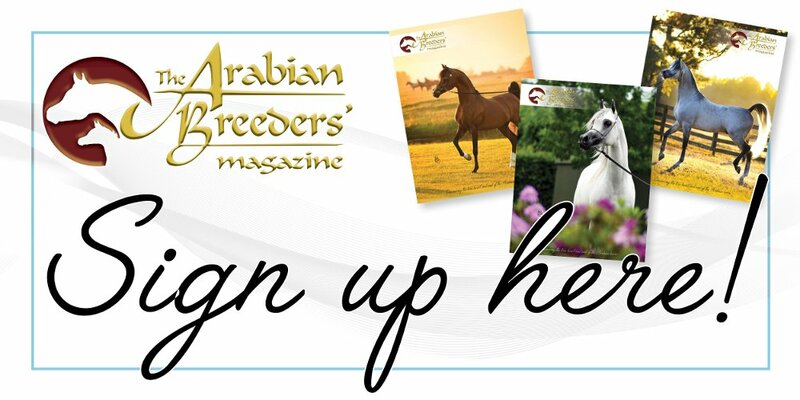 Gerzanne Stud, founded by Sue Spratt and run with lifelong friend, Bev Jones, specialises in breeding straight Egyptian Arabians, with their foundations coming from the acclaimed Simeon Stud in Australia. While the Simeon stallions influenced the Gerzanne programme immensely, Sue’s imported mare, Simeon Setami (Simeon Sadik x Simeon Sucie by Raadin Royal Star) was also extremely significant in the Gerzanne breeding programme. Predominantly a colt producer, Simeon Setami nicked particularly well with Gerzanne’s imported stallion, TF Fezzan (Botswana x Ramses Forever by Prince Ibn Shaikh), bred by Talaria Farms in Georgia, USA. The 2009 New Zealand National Champion Stallion, TF Fezzan has made his mark on Gerzanne Stud. 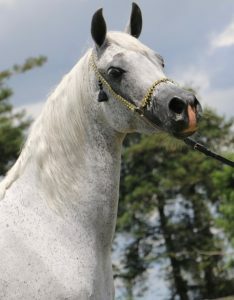 The cross of he with Setami proved potent – first with the 2006 stallion SS Farid, who followed in his sire’s footsteps to win the National Champion Stallion title, then full brother SS Kais, a double New Zealand National Champion, and now with SS Tiflaa. A beautiful grey, SS Tiflaa was competitive from a young age and now, as a mare, she is truly making her mark. 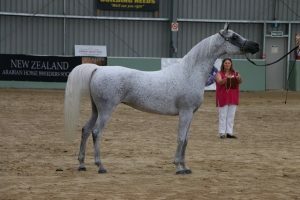 At the North Island Arabian Championships, held last December, SS Tiflaa won her class and was named Champion Purebred Mare. 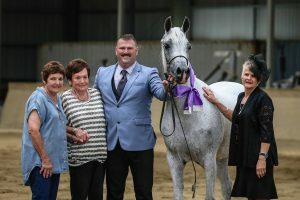 Then, this last week at the all important New Zealand National Championships, held in the country’s South Island, SS Tiflaa was named New Zealand National Champion Mare – a huge honour, and following in the footsteps of her brothers and sire in winning a top National title. Plans are now in place to breed SS Tiflaa and continue this majestic straight Egyptian line found in New Zealand. And who knows, she may well have a foal at foot by the time the 2019 WAHO Conference is held in Australia. There will be pre- and post-conference tours to New Zealand, and Gerzanne Stud should firmly be on your list of ‘must visit’ farms while you are in Australasia. You won’t be disappointed.